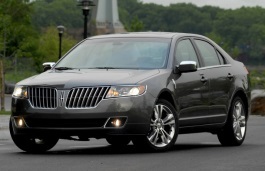 Correct Wheel Sizes, PCD, Offset, Rims and Tire specs for Lincoln MKZ series. 235/50 R17 for 2008 Lincoln MKZ ? Will a 235/50 R17 fit a 2008 Lincoln MKZ ? How come I have a set of 18" MKZ wheels that have a 4.25" bolt pattern but all the cross reference sites list a 4.5" bolt pattern. Did they put different hubs on the 18" wheel option? Hi,Glenn,The Bolt pattern for Lincoin MKZ is 4.5''.According to my data,there just 4.5'' option. 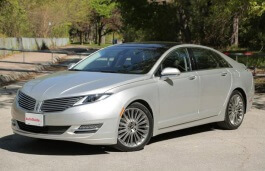 I just bought a 2015 MKZ. Can I drop down to a fusion wheel for winter and put snows on them? mkz is 19" , fusion is 17"
Hi,Bob,17'' is little small.I do not recommend you to do that. Hi,Ronald Speaks,Yes,You can use 20'' rims,And make sure the bolt pattern is same and offset is similar with your current wheels. 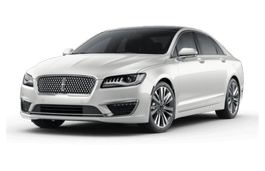 Does anyone know (specifically) what size rims and tires can be put on my 2017 Lincoln MKZ 2.0Thybrid? I want to throw on 19" rims but notesure of the rim and tire specs. Hi,Greg,For the tires,205/60/16 is compatible with 225/50/17.For studs size,You'd better find wheel dealers to confirm it.it is more creditable. 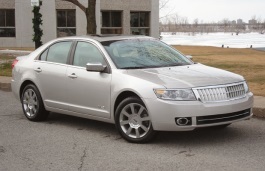 Hi, I have a 2013 lincoln mkz 2.0T FWD with 18" stock rims and 245/45/18s. Do you know what the offset for thesending stock rims are? Hi,Ed,No,these two tires are not compatible. I have 20 inch rims that I had on a 2016 mkz, will they fit on a 2018 mkx? I have 20 inch rims that was on my 2016 mkz, will they fit on a 2018 mkx? Hi,J K J ,yes,you can use it. Have a 2012 MKZ with 17" wheels with 44 mm offset. Will the the 2013 Fusion wheels with 17" 55mm offset fit without rubbing? Hi,Ed,No,the offset difference is too big.It does not compatible. Hi,Britt Rasmussen,Yes,you can use 45 and you'd better use tire calculator to find a compaitble new tires. Hi,Norm,No,they have different rim bolt pattern.